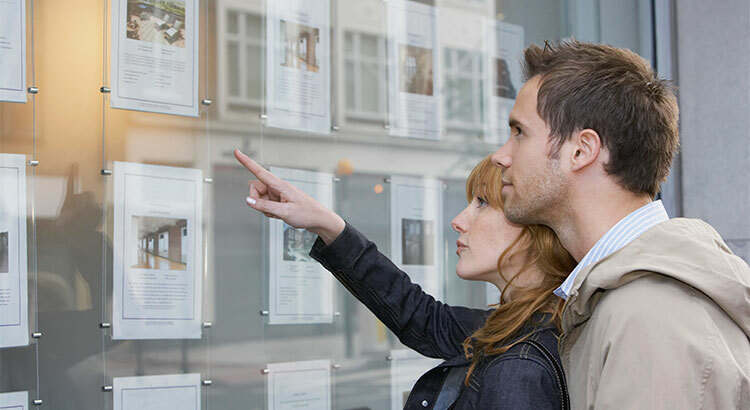 Saving for a down payment is often the biggest hurdle for a first-time homebuyer. 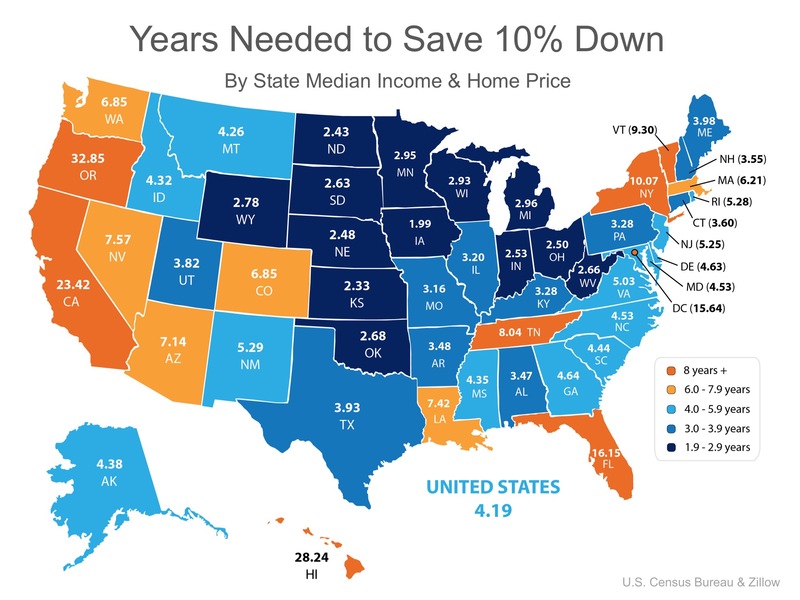 Depending on where you live, median income, median rents, and home prices all vary. 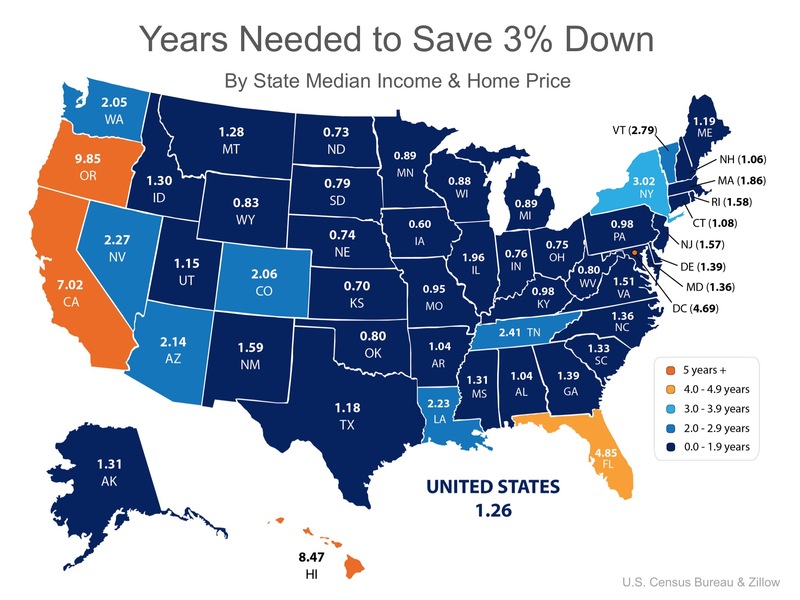 So, we set out to find out how long would it take you to save for a down payment in each state.